looks like an old oyster mushroom ,unusual host though. great, thanks for the welcome! Posted: Sun Jun 19, 11 9:08 am Post subject: Any help please? Hi there. 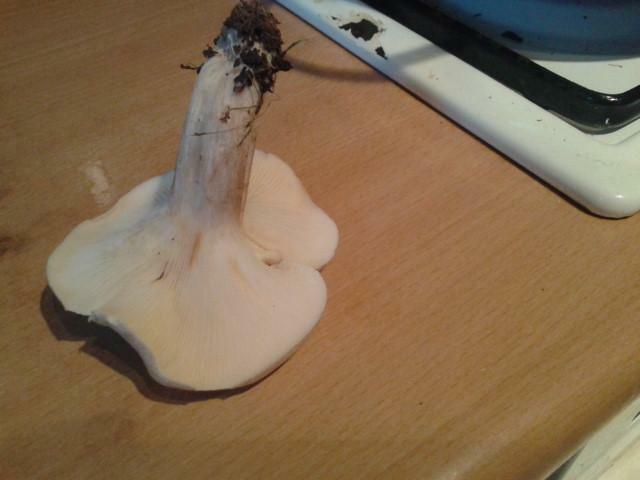 Can anyone help me id this mushroom? 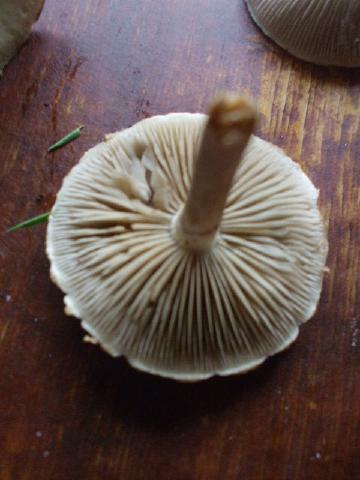 We have loads of them growing in our garden, and I'm sure they're edible, but hesitate to try them for obvious reasons! Pics included. Most of them are around 2" in height, with a good clean 'mushroom' smell. I'm not one of the experts but I can tell you that they'll want a photo of one sliced in half and that you should do a spore print too. 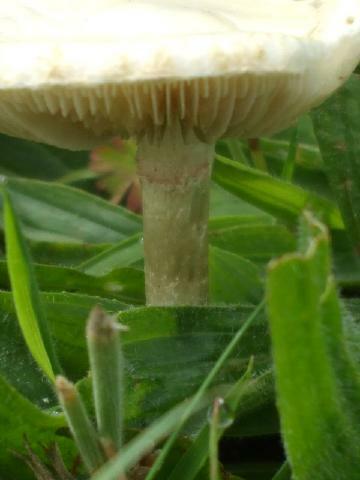 could be a deadly poisonous Inocybe,looking at the striations on the stem,as Sean says put some more info for us , where you live ,soil type ,meadow ,trees nearby etc;Do'nt eat it !!!! Hi As usual for a newcomer I'm not sure if I should post these here or not? 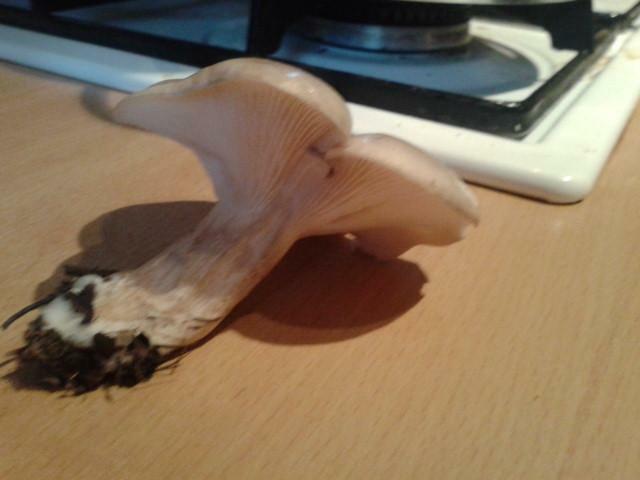 Anyways I am trying to identify these mushrooms found in my garden. Took the pictures this morning and have not picked any for safety reasons and because it started pouring with rain lol. Hope the pic is not too big. Hi ed, welcome to DS. 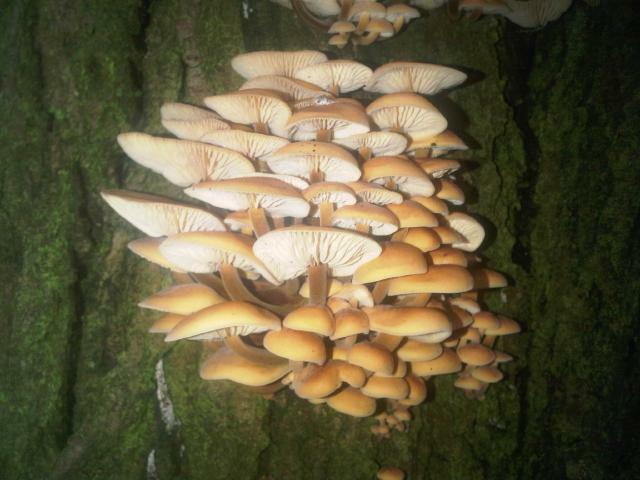 I haven't a clue about mushroom id, but those look pretty and hopefully someone more knowledgeable will be along soon . 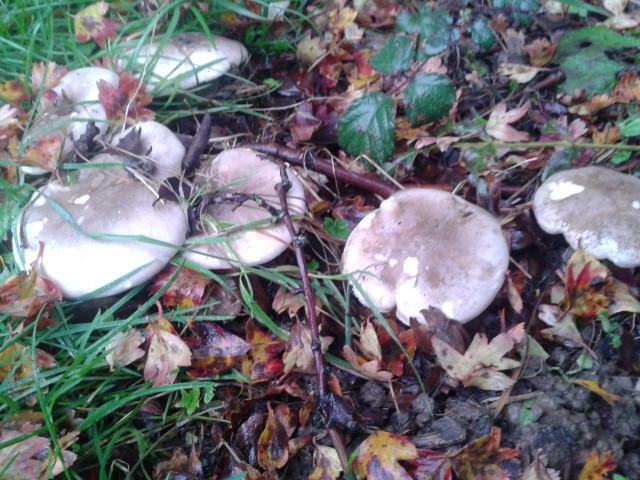 Thanks just been told (by a random Twitter user) they may be Cortinarius species and that a lot of those are poisonous. I have dissected one here. edit again: wow that pic is massive, I'll change it asap! edit: picture changed to a smaller one. 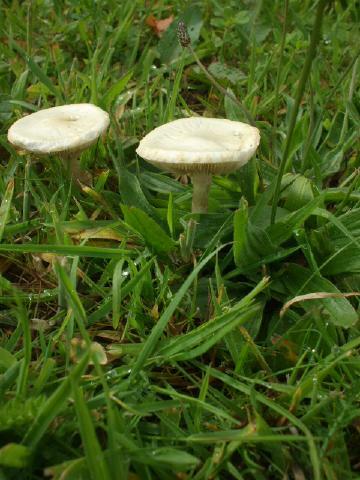 I've found some mushrooms in my back garden but are nit sure if they are edible, can dine one please help me? If in doubt - look at it then throw it out. 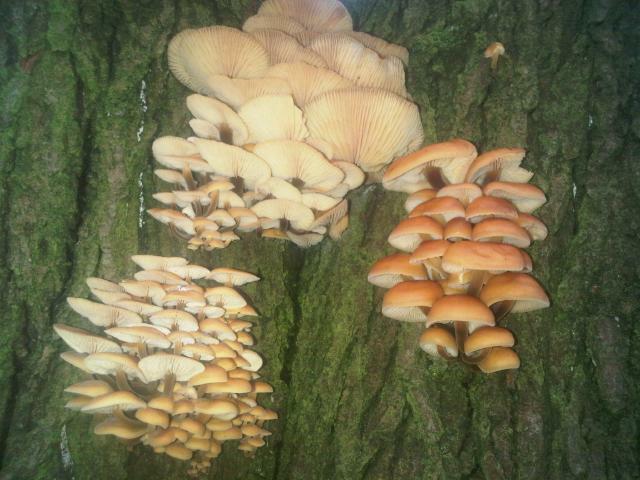 Personally I would not trust any random opinion when it comes to wild mushrooms and fungi ID. No disrespect to those who know their stuff but I think you are much better learning from someone with local knowledge who has a well established and respected level of skill. I'd say clouded agarics. Some people eat them, Some, including me, don't. 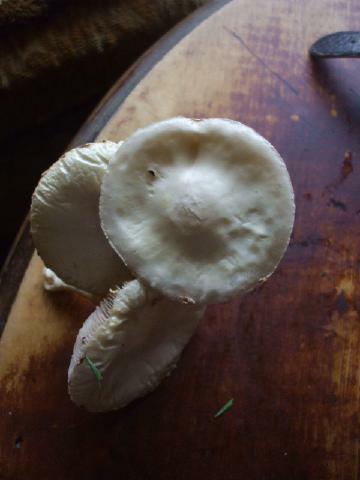 these are toxic[poisonous] hebeloma sp.